Microbiology studies the structure, vital functions, living conditions and development of the smallest organisms, called microbes, or microorganisms. 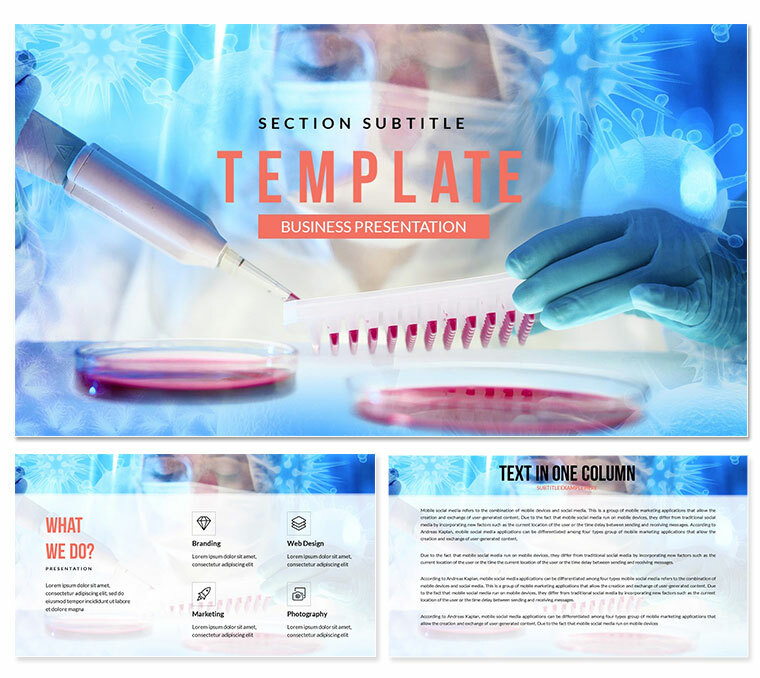 Unique Biotechnology - molecular biology PowerPoint template with Color Full Variations, Custom Animated effects, .potx, vector icons and JPG included in files. Shapes can be placed on one sheet with the data used to create the shapes. Created presentation will be played on almost any computer. In the .zip file contains 30 editable themes.